This Frontier Needs Heroes is the moniker of singer-songwriter Brad Lauretti. His determination and DIY ethos has brought him on an epic journey around the world, playing clubs, houses, and festivals. This Frontier Needs Heroes has previously released three albums This Frontier Needs Heroes, The Future, and Hooky. This new collection of songs REAL JOB was written over a two-week period during while Lauretti was attending the Stetson Kennedy Songwriting Residency at Beluthahatchee Park (Fruit Cove, FL), this is the same magical place where Woody Guthrie wrote over 80 songs, and Kennedy, himself, wrote some of his greatest works providing a solid source of inspiration. While the overall sound may seem to be simple, the lyrics will challenge you to think. There’s nothing “easy-listening” about it.Real Job kicks off with a nearly seven minute number titled “It Don’t Make No Sense,” immediately setting listeners up for what lies ahead. From the rollicking and hard-hitting “I Love Immigration” to the simple “My Heart Tells Me Yes,” each track rises to a prestigious level of folk perfection. 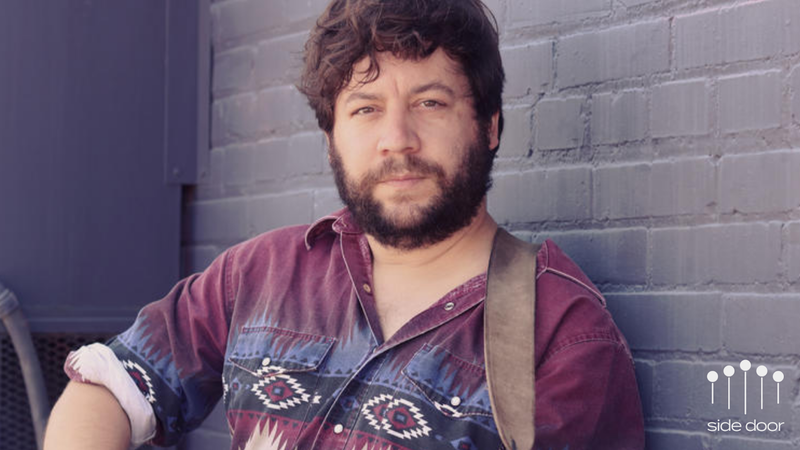 Noteworthy songs such as “Colorado Camping Catastrophe,” and “Don’t Let the Dreamers Die” draw attention to the necessary topic of freedom in our country.Originally from Brooklyn, NY Brad Lauretti is now based in Nashville, TN. He has performed at Folk Alliance International, Woody Guthrie Folk Fest, Magnolia Festival, Hickey Fest, Gamble Rogers Folk Festival, Gram Parsons Guitar Pull, End of the Road (UK), Reeperbahn, Incubate, Athfest, Sing Out Loud, Clean Water Music Festival, Connection Festival, Daytrotter, Savannah Stopover, WDVX Blue Plate Special, the Stetson Kennedy Foundation Literary Landmark Celebration, and is the winner of the Artsville Songwriting Contest.